It said the US government should use treaties signed with other nations to access data held on foreign soil. It also said that customers were likely to stop using its and other US tech companies' services if they thought the US government could access information about them no matter where they were. Apple, Amazon, HP, eBay, AT&T, Verizon and Salesforce are among US companies that have voiced support for Microsoft's stance. The first ruling in the case came in 2014, when a court said the US government did have jurisdiction over foreign-stored data held by US companies. 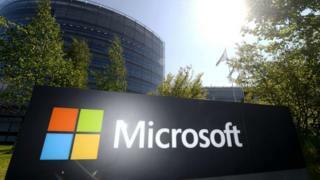 Microsoft appealed against that decision and the court ruled in its favour last year. The Trump administration filed its own appeal against that ruling and called for the Supreme Court to decide the issue. The court is expected to issue a ruling in the case by the end of June. A decision could be rendered irrelevant as US lawmakers have proposed changes to the existing law, known as the Stored Communications Act, that contains the ambiguity surrounding overseas data. The proposed legislation would let US judges issue warrants for data but would also allow companies to object if the request clashed with their obligations under foreign laws.